Not only because it was JYJ, but also was my first time I decided to take a plane by my own and with my money (actually with my credit cards), and just leave to another country in a 5 days trip to be part of a concert. 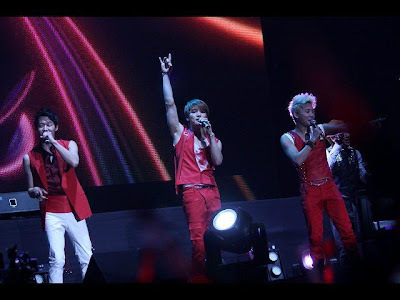 First I have to confess that when I heard about the concerts in Latin America, at that time I did knew about JYJ, I did like Jaejoong, I did have their music and I did like it, but I wasn't Cassiopeia ... yet. I just knew, I wanted to be part of the first Kpop concert in South America and if I did like them, so why not going? I didn't even have to think about it, the same second I saw the news it was decided, I was going to Perú on March, 2012. I "liked" the producer's Facebook page to be aware of any information, while I downloaded other JYJ's and TVXQ's albums and started to memorize lyrics (not a difficult thing 4 me haha), read biographies, watched TV programs... Then, I was completely sure I was doing the right thing.. 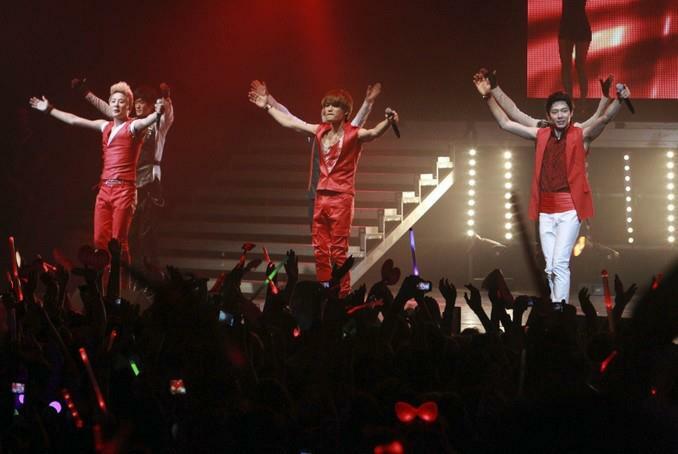 I really really love JYJ, and I was 100% sure I wanted to be part of the Red Ocean FOREVER. The concert tickets!!! What a experience!! I remember by the time the sale will start, I would be in class. I needed to be ready in front of the computer refreshing the web every 3 seconds with the credit card in my hand. So I didn't go to the University that day. And the challenge began!! The web page had and error and didn't let me complete the purchase, some minutes later the Super VIP tickets I wanted were SOLD OUT! but I didn't knew it since I rushed to downtown, went to the bank, took cash from the credit card, went to another bank made the line and spend 30 minutes for the personal to wire 500 soles ($180USD) to a bank in Perú. Then went to a Cafe Internet scanned the confirmation and emailed it to the company. By the time they read it, My Super VIP ticket worth $180 were not mine, instead they reserved me the VIP one ($125), I was so sad! not to mention they didn't refund me the difference. Either way, what matters was that I had a ticket!! 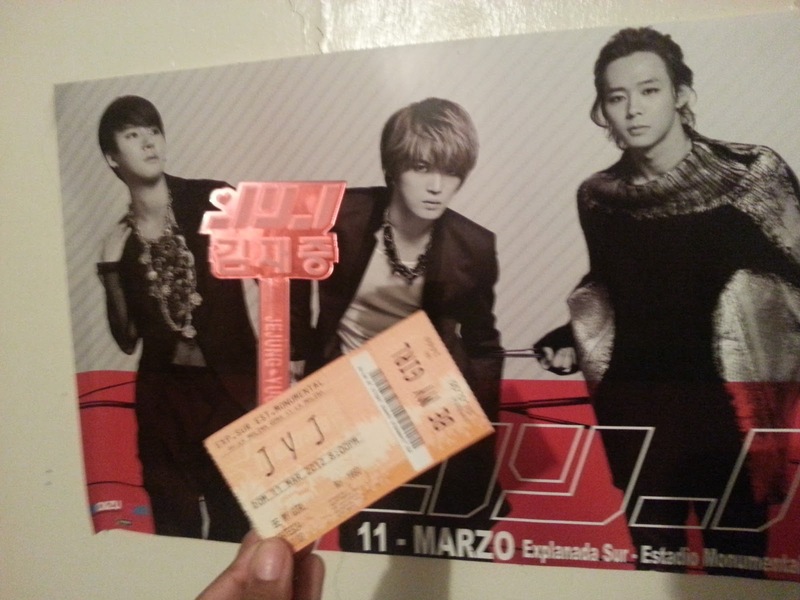 I was going to Peru to see JYJ! Looked for the cheapest way to get to Peru, bought tickets from Panama to Peru and planned my trip by bus from Costa Rica to Panama. Make some Cassiopeias friends from Peru that helped me a lot!. I love them all. March 8th, 2012 was there. I got on the bus and 16 hrs later, luckily not being retained by some indigenous in the way, I got to my cousin's house in Panama, spend more than a day with them. Next day I was in Tocumen Airport waiting for the flight to Colombia, which was very delayed and that worried me a lot since the layover in Colombia were only hour and a half. And yes I was right to be worried... after getting off the airplane waited for a funny bus to take us to the building, almost run several halls and not being able to find gate 5 between 4 and 6 (there was not number 5!) I finally got into the airplane to Peru with a crazy face and breathless. I almost didn't make it. Arrived well to Peru, finally! There was someone waiting for me at the airport, and later on appeared another Cassiopeia friend. Carmen and Vielka I love you both! They took me to some cassiopeia reunion, make some posters with other girls. I slept over in Carmen's house excited and watching some videos and photos from Chile's concert. Lots of fans took cabs and went to the "possible" hotel they would be checking in. I try very hard to convince my friend to help me find my hotel, I needed to check in, we took some funny buses, some cabs and after more than an hour I was at my hotel, Oh my gosh! Lima is HUGE! So, there were not time, we went to buy some food and straight to Monumental Stadium to start making the line which was huge since they had been camping like a week before. It was one line for all the sections, later on, they divided the line by sections and my friends let me alone since they have other tickets. So I met other girls and stay with them the whole time. 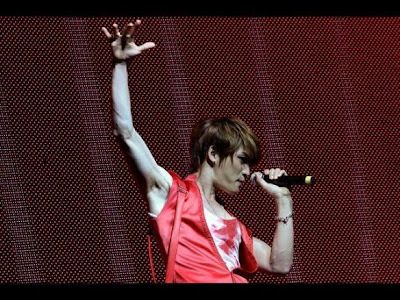 Never in my live I had made a line for more than 24 hours before the concert, I must be really crazy about JYJ, we slept in a tent, but since it was hot, I just slept in the sidewalk, but at dawn it was really cold, I can not say I rested at all, tired for the long trip, long waiting, the fast pace we walked, sleeping in the ground and almost not eating beside the high temperature in the day... but I WAS HAPPY. It didn't matter how many bottles I drank I was thirsty, ate some food and kept waiting, at 5:00pm the line started moving, when that happened!! Then the crisis began, I was burned by the sun, I really felt bad >.< I had to wash my face several times and my hair, I was having a heatstroke, I thought I was not going to make it to the concert. I look for a Red Bull or something similar and went back to life and to the line. After some trouble, we entered the place, turned on the red lightsticks and yelled like crazy during the concert. It lasted 2 hrs but It felt it was like 15 minutes! so unfair, time passed quickly, but I enjoyed the concert every second. I lost contact with my Peruvian friends during the concert, went back to the hotel and started fighting the horrible headache and the happy emotions the concert left. Next day took the flight straight back to Costa Rica, really hoping to see them in the airport but I was not lucky. I still have the ticket, the lightstick and some posters I bought there. So, that was my adventure in Peru, I did not visit any famous place, I just went to make real one of my dreams. One year and 4 months later I finally paid off my credit cards and if you ask me if I would do it again, guess what would I say? ----> ABSOLUTELY!! And of course a Vídeo, no English subs, Mianhe!